Lake Vouliagmeni, located on the south coast of Athens by the seaside of the Saronic Gulf, has been chosen as the host venue of the 7th Anniversary of the Seven Stars Luxury Hospitality and Lifestyle Awards (SSLHLA), scheduled to take place on October 5, 2019. The event will be organized by the Seven Stars Media Corporation in partnership with The Ecali Club, one of the most exclusive private member clubs in Greece. “No efforts will be spared in order to ensure that this event will mark the standards upon which other events in the industry are judged by,” the organizers said. 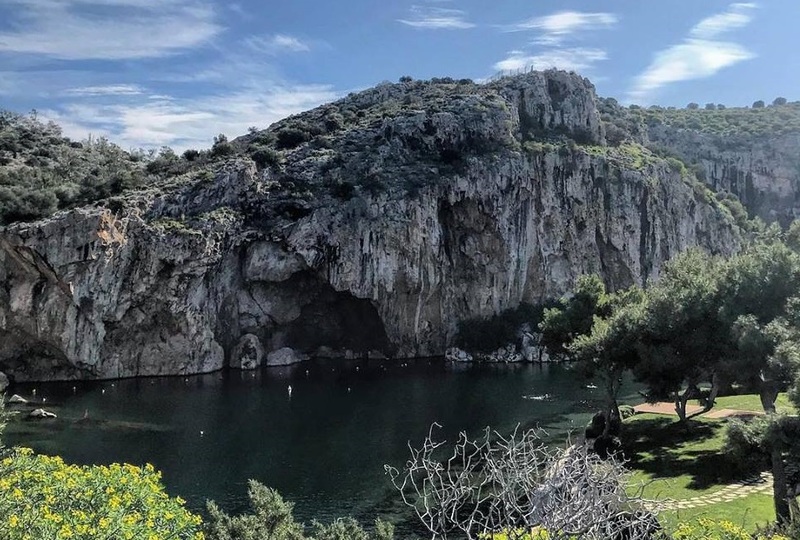 “The unique location of Lake Vouliagmeni is unmatched and ideal for this very special occasion,” Seven Stars Media Corporation Chairman and Founder Khalil El-Mouelhy said. For the SSLHLA 7th anniversary, the Seven Stars Media Corporation has unveiled the awards’ new logo (photo right), which has been designed to facilitate recognition and use by all nominees, partners and winners around the world. The self-nomination process for the 2019 awards has opened through the SSLHLA website: https://www.sevenstaraward.com/nominate/. Since its inception in 2012, SSLHLA has enjoyed success via its commitment to nominees and winners, unique system and opulent annual gala ceremonies around the world. Greece has been chosen as the host country for the third consecutive year. “It has been such a great honor for us to be selected as the first venue in Greece to host the most prestigious hospitality and lifestyle awards worldwide,” said John Georgakakis, CEO of The Ecali Club. “During the last decades, we have managed to offer our guests the best possible results in entertainment, with high profile guests, good environment and quality gastronomy,” he added. The host venue of the 2018 SSLHLA was the Out of the Blue Capsis Elite Resort on Crete.